One thing that struck us was how hip (certain) zines have become, at least within a young artist / art student community. 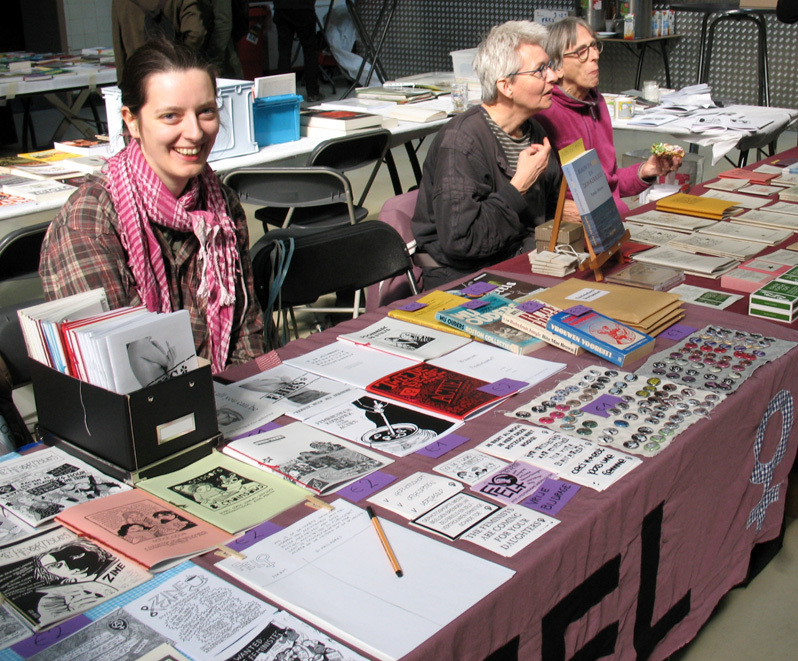 The zine fest was even mentioned in a national newspaper which called zines “hip”. Strange… It was also striking that nearly all other tables featured a certain type of zines: self-printed comics/artzines/artist books, priced much higher than regular zines. Even though I love the style, creativity and beauty of such arty publications, I found it a bit confusing to define them as “zines” or to see zines as only artzines. For me zines are more affordable and accessible, can be made very lo-fi and low-budget and invite the readers to write/publish too. 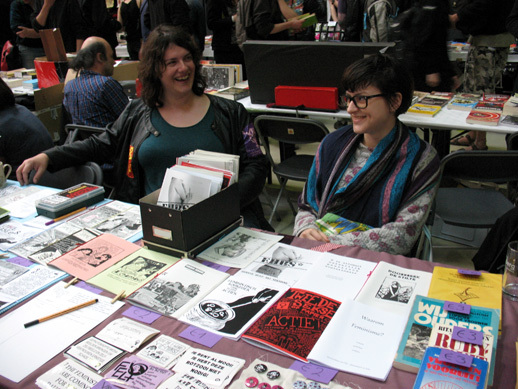 At the Zine Happening, there were few political/activist/perzines, and even hardly any music zines, a genre very common in the zine world. Maybe the organisers had mostly artzine-friends or artzine-makers were mostly interested to join, but some more diversity would have reflected the entire zine scene better. Where were the anarchist pamphlets and scrappy punk fanzines? I missed them a bit, I admit. Still, it was fun. Visitors and other zine makers showed an interest in our 24hr zine project and there was an overall friendly and supportive atmosphere. My fellow tablees and I especially liked the company of Zsa Zsa Zine. This collective of queer-feminist zine/comic makers from Amsterdam shares our vision of DIY feminist creativity. They meet in the basement of the anarchist bookstore Fort Van Sjakoo every Saturday afternoon, with cakes, drawing, zine-making and sometimes film screenings. Someday soon I want to go and participate! At the Alternatieve Boekenbeurs (Alternative Book Fair) in Ghent the Saturday after the Zine Happening, April 18th, the crowd and publications differed a lot from Zine Happening. This book fair is targeted at all kinds of leftist activists, mainly anarchist-friendly, and those curious about political and small press publications. 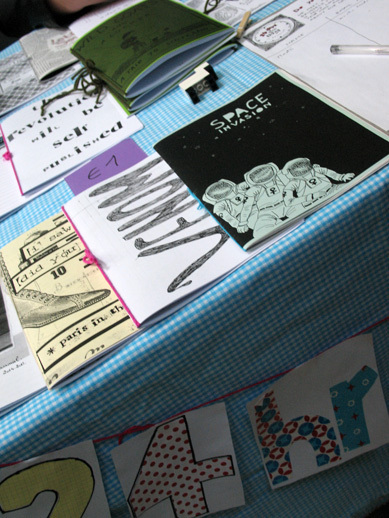 There weren’t that many zines, but there’s definitely always a zine-friendly vibe. 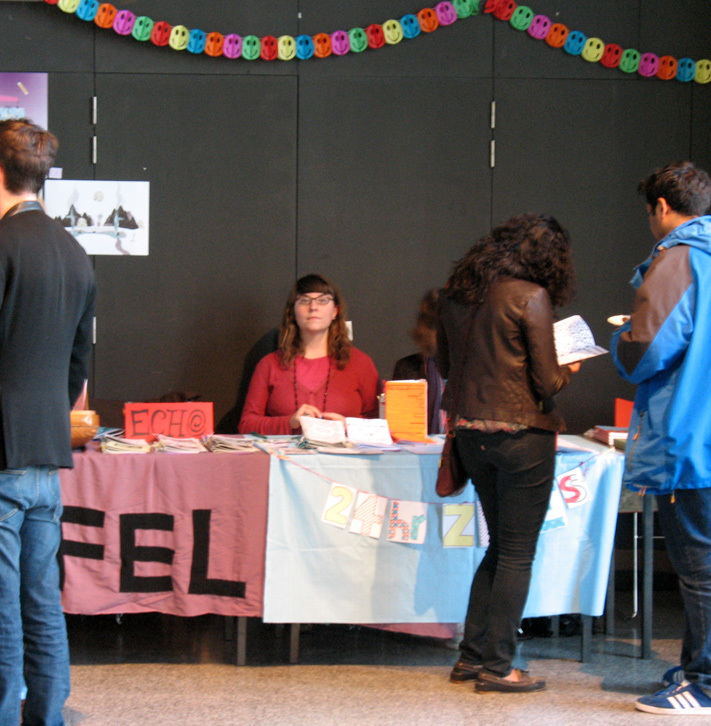 Again FEL, ECHO and 24 Hour Zines shared a table. Our table was next to Atalanta, just like the last few editions of the book fair. Atalanta are an amazing philosophical-anarchist-ecological-feminist publishing company run by Rymke and Weia. They used to self-print and bind all of their publications (on recycled paper), but now they just stick to writing. But visually their more recent books are almost as beautiful as their older ones. It was fun to have so many zine-related events in a row the last few months. Now I’m taking a little break, but not for long… Soon the 24 Hour Zine team will organise a zine-making afternoon (maybe a zine picnic?) 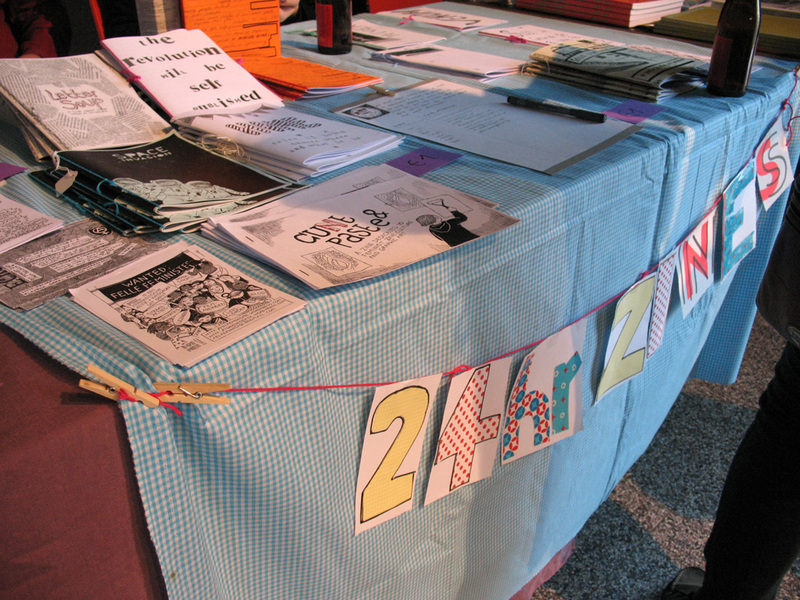 and in July we plan another edition of 24 Hour Zine Thing in Belgium! Let’s keep making/selling/swapping zines! This entry was posted in Activities, Infostands, Report and tagged alternatieve boekenbeurs, alternative bookfair, gent, infostand, voizines, zine fest, zine happening. Bookmark the permalink.